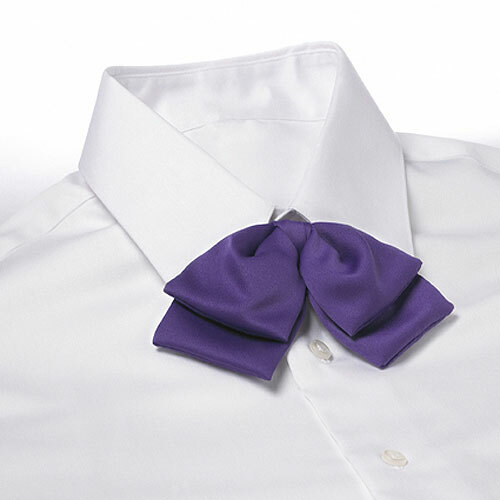 100% polyester purple floppy bow tie with adjustable band. Polyester floppy bow tie with adjustable band. 12 piece minimum. Quantity discounts available. Individually poly bagged.